I’m struggling to customise my blog and realise I’m pretty limited unless I pay for an upgrade. I wanted to dedicate some pages to my photography but it isn’t quite going to plan so I’m using this post to tell you I want to share some of my photos. I’m sure I’ll get to grips with WordPress sooner or later but if any of you have any grand ideas, please do share. 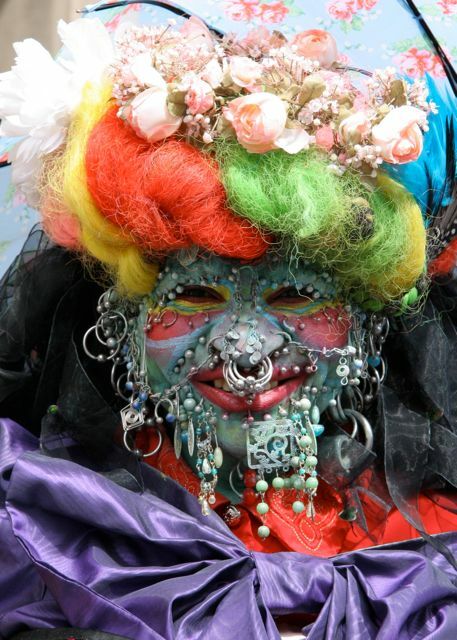 Here’s a lady I came across at the Edinburgh Festival – fascinating isn’t she! This entry was posted in Photography, Portrait by bighair63. Bookmark the permalink.